The proposal of La Fenestra is to become an online store of emerging designers of women's fashion. The model will seek closeness with the clients through the implementation of showrooms in strategic cities, organizing different meetings and beneficial auctions. Marbella, July 14, 2017.- On July 12, the La Fenestra launch party took place in Marbella, the great online fashion retail platform for women that includes collections of emerging national and international creatives and offers its clients the possibility of interacting outside the digital environment in the pop up showrooms that will travel through different cities and where you can touch and try the product, keep exclusive encounters with the designers, go to masterclass styling and many more things. Her ambassador, the top model Nieves Álvarez, traveled to the Costa del Sol to kick off the e-commerce and inaugurated La Fenestra's first pop showroom, which will be open until August 27 at the Gran Meliá Don Pepe Hotel Of Marbella, where the event took place two days ago. 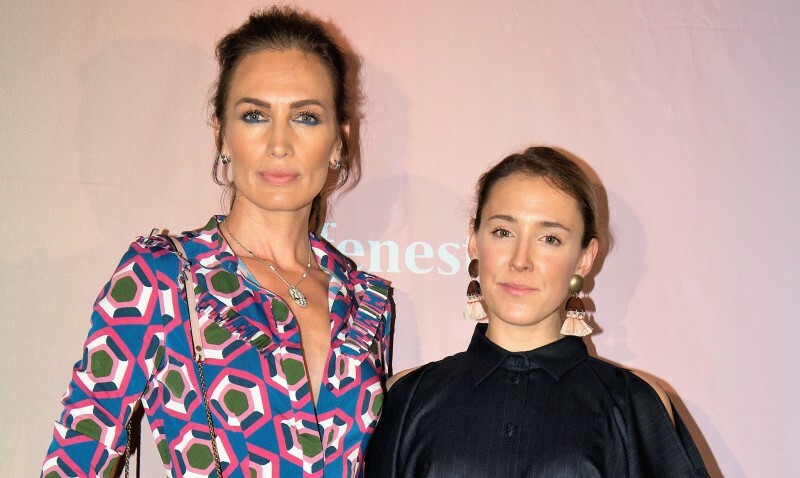 During the event, which was attended by more than a hundred people from the Marbella jet set, the e-commerce section "Los Favoritos de Nieves Álvarez" was also presented, in which the model has chosen her 16 favorite garments, among which is the dress she wore yesterday. When making your selection, have taken into account that "are garments that you can acquire and have in your closet as basic funds, you can combine and use many seasons." Other well-known faces who wanted to support La Fenestra were Princess Beatrice of Orleans, the aristocrat Isabel of Borbon or Blanca Ares, former balloon player and wife of national basketball coach Sergio Scariolo. La Fenestra's commitment is to position itself as a reference in omnicanality in its segment. "There are examples in the United States of America of other products, men's clothing, glasses, ecommerce-based and showrooms that are demonstrating that the format works," says Larrea. Ines is the founder and CEO of La Fenestra, marking its guidelines, strategy and values. Although trained as an architect, Ines has gained experience as a product manager in the leading Spanish luxury brands. Recently, Ines has worked as a handbag buyer for CH Carolina Herrera and previously, she was in the product department of Loewe under the reins of J.W. Anderson. Her passion for fashion and his personal concern for emerging talent have led her to create La Fenestra.